WILLEMSTAD - In a reaction to the accusations of the Health Inspector, Jan Huurman, the Advent Hospital accuse him of abuse of power. The Health Inspectorate has filed a complaint against the hospital at the Public Prosecution. 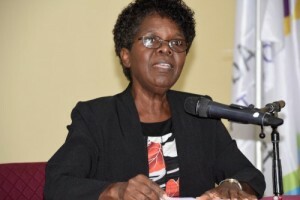 The healthcare institution writes that patients and specialists have presented substantiated complaints against the inspector at the ombudsman and that the hospital has filed a complaint with Minister Suzy Camelia-Römer of Health, Environment and Nature on July 5 about 'the misconduct of the Health Inspector'. Advent wrote that it had approached Huurman to resume consultation between the healthcare institution and the inspector pending the complaints investigation. In addition, Huurman has indicated that, despite the continuation of the consultation, he will report to the Public Prosecution because he would otherwise have been bothered in his work. According to the hospital, the inspector's communication was recorded in case he would later deny his statement. A complaint filed at the Public Prosecution against a health care institution is not right, and certainly, if the inspector is not obstructed in his work, the hospital judges. The healthcare institution denies that there were any obstacles. "The hospital has asked for more time in a transparent, well-founded manner because of a serious complaint at the Ministry of Public Health." Advent: "Huurman causes unnecessary damage to the patients’ trust. He is driven by reprisals and his ego and proves that he is incompetent, the hospital is considering filing a complaint against him at the Public Prosecution for making a false complaint."